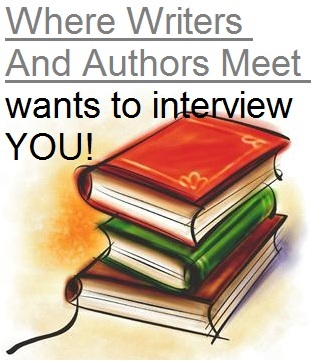 Tc McKinney was interviewed for 'Where Writers And Authors Meet' blog hop. The answers to his interview can be found on his blog. You can find out more about the interview blog hop here. The following questions were posed to him by Victoria Adams as part of the author interview bog hop. Hop on over to Tc McKinney's blog to hear more about him, what started him on his path to becoming both a published author and later a publisher of authors! 5. You are rather talented in a number of fields. Do you find similar things inspire all your creative works, or do you get into specific moods for different projects? Thank you Victoria. I do find that all similar things that I have loved or have come to love throughout time have influenced and inspired all my creative works. Whether it be love, hate, anger etc. All of these emotions and specific moods form a creativity of their own but in a unified way for me. I have implemented and follow a simple process which leads to the accomplishments. STEP FIVE: The gift of bestowal. He has chosen Cindy Koepp to interview next-> you can find the questions he is sending to Cindy on Tc's blog!